Featured on Hotel Impossible Again! Once Again, DIRECTV DRE Made a Big Impression on HOTEL IMPOSSIBLE! On Saturday 12/13, the DIRECTV Residential Experience (DRE) hotel television system stole the show when it was once again featured in an episode of “Hotel Impossible” on the Travel Channel. Anthony presented the owners with the DIRECTV Residential Experience for Hotels and it blew them away! If you missed the original broadcast alternate viewings are available. Use the SMART Search function on DIRECTV for the episode titled, “Packing Heat” originally aired at 6pm PST / 9pm EST on the Travel Channel – channel 277. 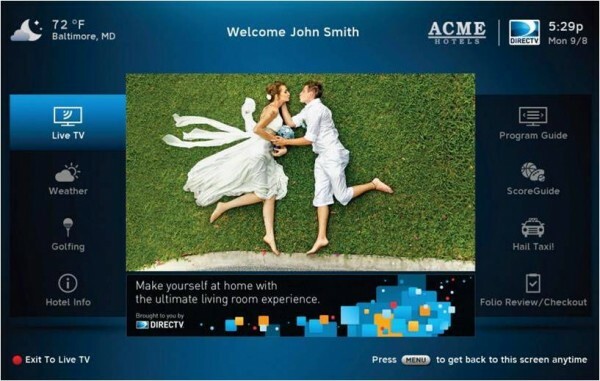 Or use DIRECTV on Demand channel 1277.
or Call 800-951-1979 today to schedule a FREE site survey.